Enjoy a drink on entry, fashion short films from MFF. Dress up in your favourite film attire to win a fab prize. Love fashion on film? Revisit a fashion film classic and join Cinema Nova to celebrate one of the most iconic fashionable films of all time – Clueless. Enjoy a glass of Nova’s hand picked wine or sparkling on entry and an introduction from a special guest who’ll talk about the fashion in the film and other films that changed fashion forever. Dress up in your favourite film attire and go in the running to win a fab prize. To Enter: email us at info@threadden.com including your name and postal address to go into the draw. Competition opens: Sunday 24th February 2019. Competition closes: Wednesday 27th February 2019. Competition winners announced: Thursday 28th February 2019. Congratulations to the winner of our Granny Square Flair Mailing List Sign Up Competition. Lucky Heather will receive a copy of this great Crochet Book written by Melbourne author and crochet designer Shelley Husband. Congratulations to the winners of our Exclusive Paid Member‘s Competition! Win a copy of Granny Square Flair! 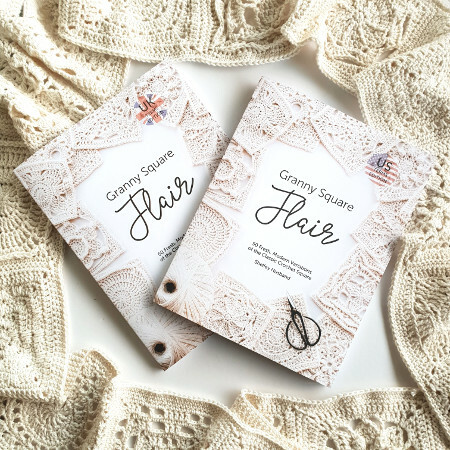 To celebrate our next Crochet Club starting on Saturday 23rd February we are giving away a copy of Granny Square Flair – by Melbourne’s very own Shelley Husband. To Enter: sign up to our mailing list and receive our email updates and sewing love notes. Competition opens: Tuesday 19th February 2019. Competition closes: Thursday 21st February 2019. Competition winner announced: Friday 22nd February 2019. Granny Square Flair includes 50 square patterns presented in both chart form and written round-by-round instructions. Full explanations of special stitches, along with tips for finishing your project beautifully. Every square is shown in at least 3 distinctive colour ways, inspiring your own colour exploration. There are full instructions for 11 beautiful projects made with motifs from the book. Shelley walks you through using the patterns to design your own projects, including estimating yarn requirements, combining patterns and colour inspiration. Win your very own copy.